Ende 2018 kamen wieder einige der Mitglieder des Förderkreises Friendship Clinic Nepal e.V. in Freiburg zusammen um über die Aktivitäten des Förderkreises im Jahr 2018 zu berichten. Namaste!! I am writing to update you all on the situation of the flooding across Nepal. Firstly I’d like to apologize for not being able to get this message out sooner. To put everyone at ease I can confirm the worst is over, the local people are slowly recovering, they responded tremendously and there has been a serious team effort in getting things back to normal. On the 13th of August 2017 there was severe flooding due to the heavy monsoon (there has not been one this grave in 15 years). Im April 2017 sind wir nach Nepal gereist, um uns von den Projekten von Clinic Nepal nach vielen Jahren wieder persönlich ein Bild zu machen. 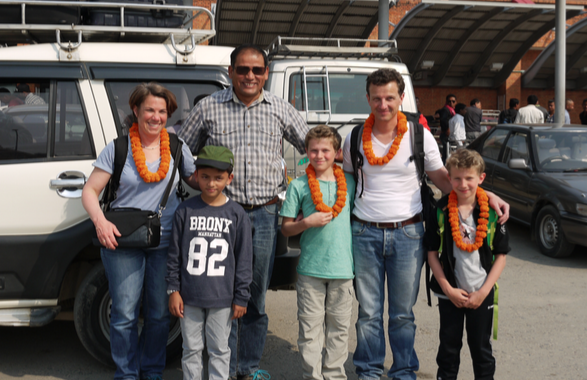 Hari Bhandary, Gründer von Clinic Nepal, begleitete uns während unserer Reise und war ein hervorragender Reiseführer. I remember the day a good friend of mine, Laura, who has been in Nepal for a medical internship in spring 2016, told me about her time over there, the experience she made, the people she met and how much she loved being in Nepal. 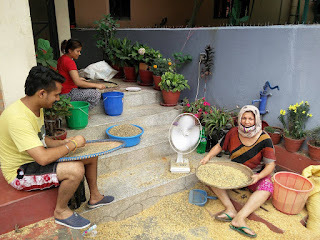 At that time I had already been looking for other volunteering options but then loved the idea of supporting a small, naturally grown, non-governmental organisation in Nepal. I got into contact with Hari Bhandary, the founder of Clinic Nepal, and asked if I could come and help them with another project apart from the Clinic. When Hari and me talked on the phone for the first time he asked me if I could draw. He said that the walls of the Wolfgang Linke Kindergarten in Meghauli had been recently painted white and that they needed someone to draw educational material on the walls to make teaching easier. “You have to be very good since the drawings will be there for the next 10 years” is what he said. Ises vollständigen Bericht mit vielen Bildern kann man hier lesen. Auch Hari hat einen langen Bericht mit vielen Bildern auf Englisch verfasst, der einen schönen Überblick über ein tolles und erfolgreiches Projekt gibt.